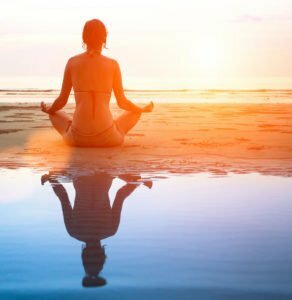 For thousands of years, spiritual seekers have used techniques such as sitting meditation, yoga, chanting, Chi Gung, Tai Chi, and breath training to make them more receptive to the experience of directly perceiving the Divine. Many practitioners of these disciplines are unaware that by doing these techniques, they are actually shifting and re­tuning their physiology. Neuroscience has now demonstrated that there are specific, predictable shifts that occur in patterns of heart and brain activity when devotees engage is various spiritual practices. Heart­-rate variability and neurofeedback trainings can dramatically improve the efficiency of meditation techniques, and can even be used as a form of spiritual practice. Here at The Center, we have worked with spiritual seekers in many capacities. From would­-be meditators who could not sit still long enough or quiet their mind enough to do an effective daily practice, to experienced practitioners who just want to fine­-tune their skills, we can support you in your path to a more fulfilling spiritual life.